THE JEWISH-CONTROLLED US DEPARTMENT OF HOMELAND SECURITY is now turning against upright American citizens. 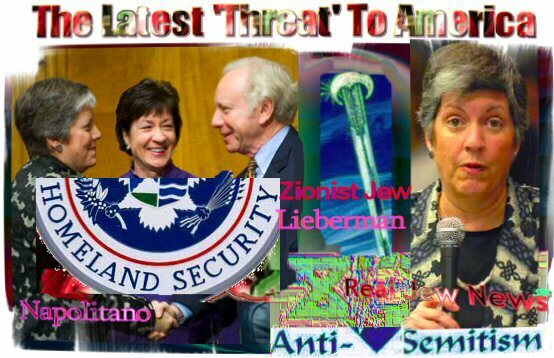 Directing the Department’s targeting of American citizens is the Zionist Jew, Joseph Lieberman, the Senate Homeland Security Chairman, and Janet Napolitano, the Secretary of Homeland Security, an obvious Zionist shill and reputed lesbian. 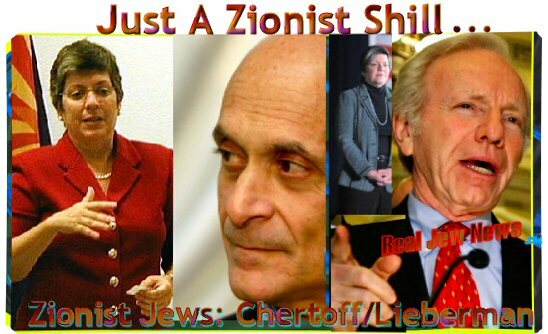 The Report, prepared by the Extremism and Radicalization Branch, Homeland Environment Threat Analysis Division and coordinated with the FBI, was approved by Homeland Security Secretary, Janet Napolitano, a reputed lesbian, who is the Talmudic Jew Michael Chertoff’s successor. View All Napolitano Reputed Lesbian Articles Here. “We must protect the country from homegrown terrorism regardless of the ideology that motivates it. The DHS will continue to work with its state and local partners to prevent and protect against the potential threat to the United States associated with any rise in extremist activity.” View Entire Report Here. ” Current Economic and Political Climate. A recent example of the potential violence associated with a rise in rightwing extremism may be found in the shooting deaths of three police officers in Pittsburgh, Pennsylvania, on 4 April 2009. These tactics are employed to draw new recruits into rightwing extremist groups and further radicalize those already subscribing to extremist beliefs. The DHS assesses that this trend is likely to accelerate if the economy is perceived to worsen.” View Entire Report Here. This recent Report by Homeland Security evinces yet another incident of the expansion of Jewish control over the American government. The ADL has been trying to limit freedom of speech on the Internet for over three years running, and has already infiltrated US police forces throughout the nation, training Gentile police to turn against their own, in order to protect “Zionist Jews,” whom publicists have demonstrated in various articles, have a supremacist attitude toward non-Jews. 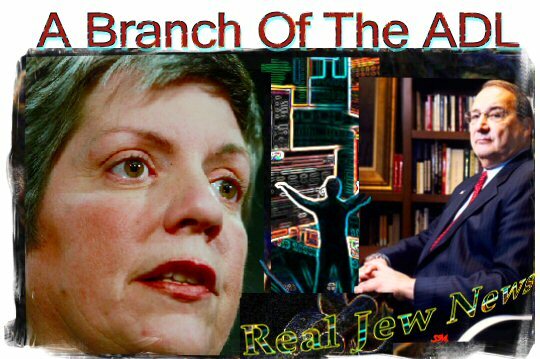 THE CATHOLIC NATIONAL LAW FIRM, known as, The Thomas More Law Center, has filed a federal complaint against the Zionist shill, Janet Napolitano, and her Jewish-controlled, US Department of Homeland Security. Jews just love to use the term, “right-wing extremists,” in order to propagate a fear of Christian conservatism which promotes traditional morality. For “traditional morality” is based on a Christian world-view. yes, of course, the JEWISH owned and controlled agency will target anyone who exposes them for the jewish zionist Israeli terrorist/murderous ones that they are! The HOLY SPIRIT has targeted every lying, coniving, genocidal Rothschild JEW in existence. ALL of their crimes have ALL been written down in the eternal books on high. NOTHING but HELL-FIRE (a fate worse than death) awaits them ALL at the Judgement. The eternal damnation of the International JEWISH Rothschild Empire is near at hand. WE ARE their #1 enemy. The Cheka, NKDV, GRU and KGB was the dep. Of Homeland Security in the jew run Sovjet. l have said the same thing many times but l think this is the best ever on the jewish mafia that controlled Sovjet - Jewish gang war. All done under marxist mumbo jumbo to fool the stupid goyim communists. 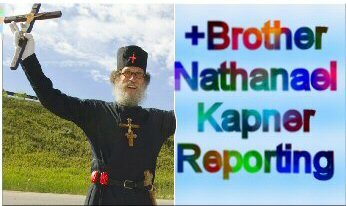 Do you think that the jew mafia don’t want to control the secret police in America? The lying jew mafia paint a swastica and the secret police in America goes into full spin to find those evil “antisemites”. Everything about the bogus accusation “antisemitism” is one big scam. The key to understanding modern history is to understand that Sovjet was controlled lock, stock and barrel by jews as jews, not as the marxist mumbo jombo “comrad”. The jews gave up Sovjet for two reason, one is that they realized that communism never can work, communism was never made up to work, only to destroy all nations. The other reason is that the jew mafia needed to replace the fraud the Cold War with a War on Muslims, ie the fraud War on Terror. Just look at the massive scaremongering propaganda in the jew owned MSM and compare with the scaremongering about Sovjet and the A-bombs during the fraud Cold War. It’s the same thing all over again, just another “enemy”. ln the name of War on Terror the jew mafia is turning America into a global police state. PC, political correctness is communism = judaism. Just look at the similarities. Rule number One = Shut up any resistance to the jew taking control of the state. lf you’re a communist, zionist or PC it doesn’t matter because you are all helping the jew mafia to get control of the state. Don’t be a fool and buy the jews hate hoaxes, aka “antisemitism”. @ BN, l think you should write a piece about the jew mafia hate hoaxes. This is one of the jew mafias Achilles heels. To make gullible non-jews understand that the jew mafia is ripping them off with their hate hoaxes. Why are Semites so important in America? It’s not a semitic country. Why do Christians show so much loyalty to Semites who are anti-Christian and anti-white?